The Weight Club evolved from a power-lifting organization of Virginia Tech students that used weight lifting facilities in the campus War Memorial Gym beginning in the late 1970s. When the club was incorporated as a non-profit in the new Mall location, a board of six directors was formed to oversee its operation. 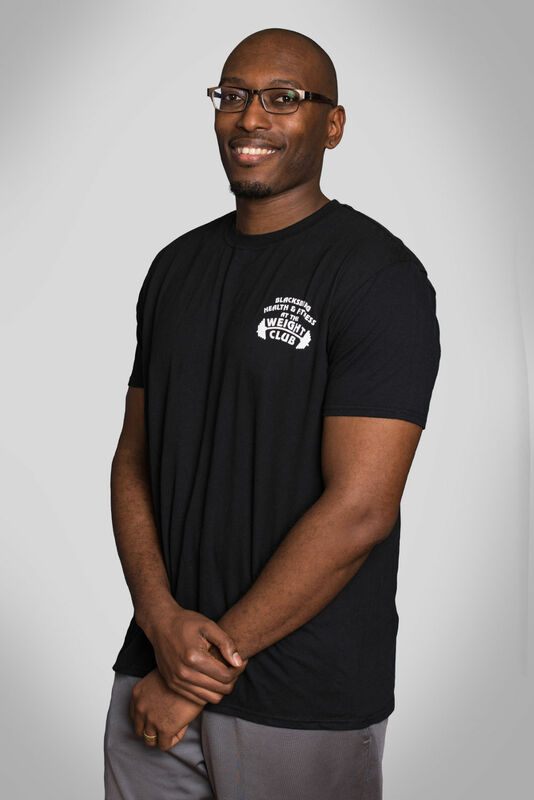 The Weight Club first opened in Blacksburg's University Mall on University City Boulevard in 1989 and has successfully served the community there for the past 28 years. In the beginning, TWC obtained and renovated a space originally occupied by Sydneys, a popular women's apparel store of the 1970s and 1980s. That single store front space in the center of the Mall has since been expanded during several renovations to include what were originally seven different retail spaces and store fronts. The Weight Club now occupies about 30,000 square feet and has become a leading anchor for the University Mall, along with Volume Two Bookstore and the Math Emporium, which flank both ends of the University Mall. The most recent renovation, involving a ;;year of construction, was completed by Snyder and Associates in the summer of 2017 and added new and larger locker rooms for members and an expanded cycling studio, one of our most popular group fitness classes offered. Other studio spaces house popular cardio and cross training programs such as Body Pump, Zumba, HIIT Cardio, Body Combat and various practices of Yoga, to name a few. An elevated running track was added in the first major expansion of the early 2000s and remains a very popular feature. Christie comes to us from Chesapeake, Virginia. She has an extensive background in fitness including a B.S. in Exercise Science from Virginia Tech. She has been certified through ACE as an Aerobic Instructor and Personal Trainer, is AFAA certified as an Aerobic/Step Instructor and is a certified Spinning Instructor. 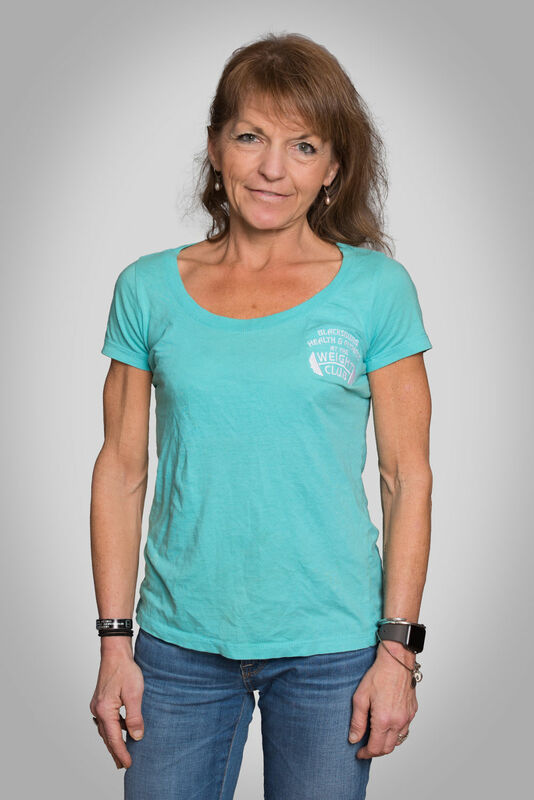 Christie has been in the fitness industry since 1986 and has worked in some form of management since 1990. Along with her role as General Manager, Christie continues to teach aerobic and cycle classes. Her duties include overseeing the daily operations of the facility, which includes working closely with the Board of Directors in making decisions, hiring and supervising the staff, teaching aerobic and cycle classes and coordinating the cycle program. Christie enjoys all forms of outdoor activities such as jogging, road biking, swimming, rock climbing, and water skiing. When she is not working, she likes to spend time relaxing at her and Lewis' lake house on Claytor Lake. Michaela is a native of Shelton, Connecticut. She moved to Virginia in 1989, seeking a more relaxed lifestyle. She lives in Riner with her husband, Frank. 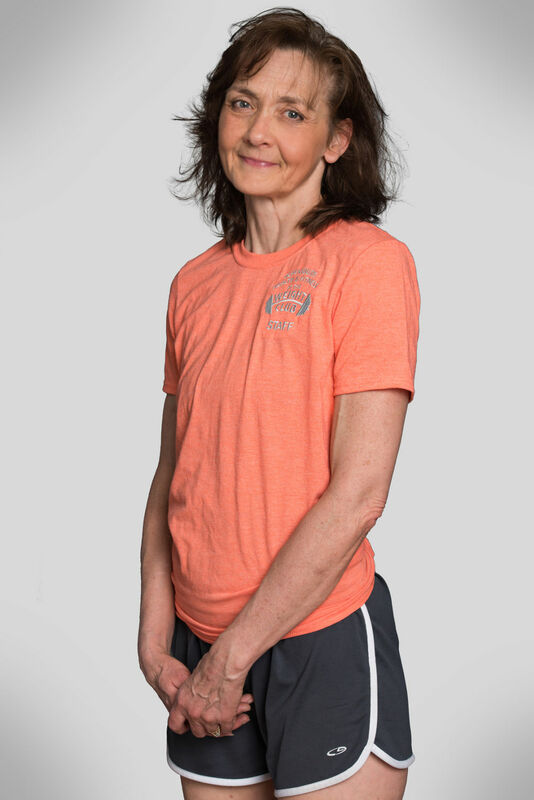 Michaela has been teaching all styles of aerobic and fitness classes since 1985. She continues to teach all levels of aerobic classes as well as Cycle Reebok. She is certified through ACE and AFAA as a Fitness Instructor. As the Assistant Manager her duties include bookkeeping, supervising staff, assisting with he coordination of the aerobics program, and supervising the aerobics program. In her spare time Michaela grooms dogs (a profession she has had for nearly 30 years) and enjoys running and swimming. She and Frank enjoy going to the movies, working out together, and spending time at home with their three dogs. DeWayne is from Newport News, VA and came to Blacksburg in 2002 to study at Virginia Tech. He began personal training in 2005, and joined the Weight Club staff in 2006. Currently DeWayne serves as the PT Director and Intern Supervisor. He also helps out with facility maintenance and teaches cycle classes. When DeWayne is not in the gym, he’s either spending time with his wife and son, working with the high school ministry at his church, or working on a divinity degree through the College at Southeastern. Laura joined the Weight Club in January 2011 as just a member. Two years later, she became a group fitness instructor and gained certifications in Les Mills Classes. In February 2016, she got her first Personal Training Certification and started taking clients. 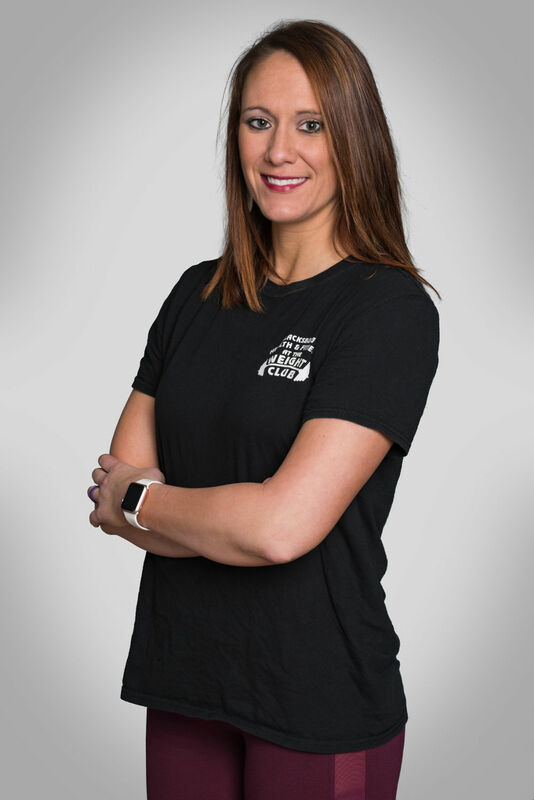 In the fall of 2017, she accepted the position of Group Fitness Director, as she has a background of Human Nutrition, Foods and Exercise from Virginia Tech. Laura has 5 kids and two crazy dogs. Her husband is very supportive of her career, as she loves helping people. She enjoys spending time with her family, helping individuals achieve their personal goals and singing on the worship team at her church. Nick is a local who grew up in the area and has been a member of the Weight Club since 1998. He graduated Blacksburg High School in 2005. 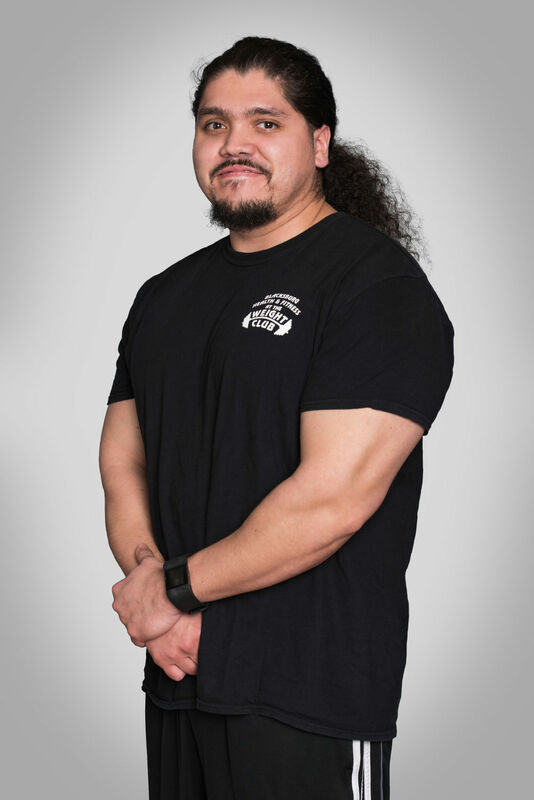 After graduating high school, he was employed by the weight club to work the front desk at the CRC Weight Club facility. In 2009 Nick became a certified AFPA Personal Trainer. In 2012 Nick became the CRC Weight Club site manager. After the closing of the CRC Weight Club site he moved over to the main Weight Club Facility. In 2017 Nick was named front desk supervisor. When Nick is not training clients, and supervising the front desk staff he also does some general maintenance on the gym equipment. Nick is currently enrolled at Radford University working on a Bachelor’s degree in Fitness, Strength and Conditioning in the ESHE program at RU. Donna was born in Montgomery County where she resides with her husband and two sons. 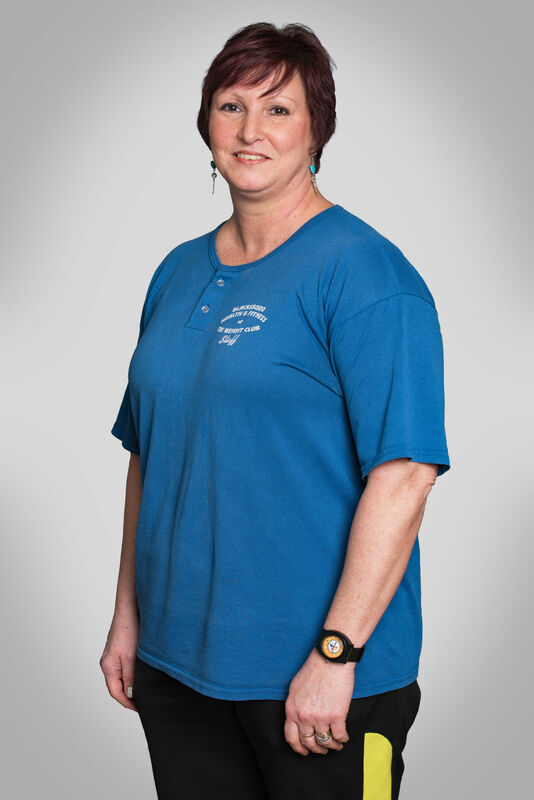 As the Child Care Coordinator, Donna oversees all operations within the child care facility. Donna loves children and has a special relationship with the children she cares for. When Donna is not working, she enjoys lifting weights with her husband and spending time with her boys.